Google has released its Super Bowl commercial, celebrating the way Google Translate brings people together. 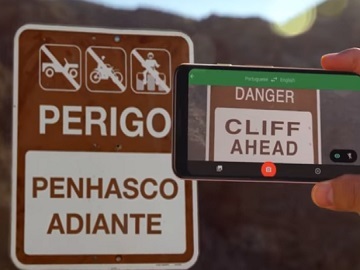 “More than 100 billion words are translated every day,” the voiceover says at the beginning of the 60-second spot, which opens with a shot of the Pixel 3 XL and features various people from across the world using Google Translate on their phones to share their thoughts with people who speak different languages. “Words about food, words about friendship, about sport, about belief, about fear. Words that can hurt and sometimes divide. But every day, the most translated words in the world are ‘How are you?’, ‘Thank you,’ and ‘I love you,'” the voiceover adds, while uplifting music is playing in the background and footage of people traveling, visiting foreign countries and bonding with locals is shown. Google Assistant is heard speaking several different languages, including Japanese and Korean, and the built-in camera translation feature is also showcased as it converts menus and signs. At the end of the ad the Google logo flashes against a white background.